This week’s roundup of iOS apps is all about the multimedia entertainment: We’ve got video, we’ve got music, we’ve got games, and we’ve got the brain of Albert Einstein. Already this week we brought you reviews of Geo Walk HD and Monster Life—and news of the newest game from Angry Birds’s creators, Bad Piggies. 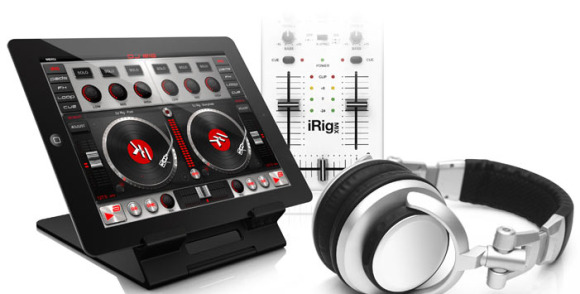 DJ Rig for iPad offers myriad music-making options. DJ Rig for iPad: The iPad went into the music-making business almost from the second it was introduced. The $20 DJ Rig for iPad offers a deluxe approach to that experience, offering users a “professional DJ” experience that starts with direct access to their iTunes library and playlists, then adding crossfade filters, tempo syncing tools, a sampler machine, a “scratching engine” to recreate the sound of vinyl, looping options, and more. Spend an extra $10, and you can buy a “Pro Bundle” that adds even more features. With this app, you might be able to become the next Girl Talk—or at least have a lot of fun at your next house party. Jasmine: The advent of iOS 6 means your iPad and iPhone no longer include the native YouTube app. Stepping into the breach is Jasmine, a free YouTube client for both devices. The AirPlay-enabled app lets users manage video playlists—and even plays the audio in the background while you use other apps. The app also remembers your stopping point in longer videos so you can return to it later. Videos can be shared to Twitter or Facebook, or access to them can be restricted by using parental controls. Gojee offers a visually inventive spin through food and drink recipes. Gojee: The last few years have seen the rise of both foodies and food bloggers. (They even made a movie about one.) So, of course, we now have food blog aggregation. Gojee, a free app for iPhone and iPad, puts a visually inventive spin on the enterprise, letting users browse through food and drink recipes recommended by more than 200 food bloggers. (You can get a sense of how this works by going to Gojee’s website, but the experience seems mostly tailored to the mobile app.) The latest update makes the app compatible with the iPhone 5 and the new iPad’s Retina display. NFL Pro 2013: If the start of football season has you itching for the next edition of Madden, the free NFL Pro 2013 game for iPhone and iPad might be enough to keep you satisfied in the meantime. You can play with the team of your choice; if you buy in-app credit packs starting at $2, you can “hire” new players, upgrade your stadium, and improve your team in other ways. Are you ready for some (virtual) football? NMHMC Harvey offers a peek at Einstein’s brain. NMHMC Harvey: This $10 app for iPad has one of the most boring names we can remember, but you should ignore that because it offers at least one piece of morbidly fascinating content from the National Museum of Health and Medicine in Chicago: scans of Albert Einstein’s brain. The great physicist died in the 1950s—well before MRIs—so the scans come from samples of his brain tissue that were recovered and preserved during his autopsy, and which for several decades were spread out to some rather unexpected locations across the United States. The app omits those odder parts of the story, but still: Einstein’s brain! Note.S: Dear Diary: The days of me writing to you in a lined notebook are pretty much over. But believe it or not, there are thoughts I want to record without necessarily baring my soul to the world on social media. That’s where the $2 Note.S journaling app for iPhone comes in handy. 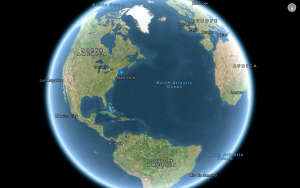 I can write to you, attach photos and map coordinates, change the fonts, and save copies of you to Dropbox and iTunes. I can even protect you from snooping by my little sister, thanks to a passcode option that lets me secure both the app and individual journal entries. And if I want to take my ultimate revenge and let the world know exactly what happened with Sebastian and Kathryn, well, I can still use email or Twitter to share entries. Thanks, Diary! You’re the best! Streamweaver offers crowd-based video production. Streamweaver: Streeeeeeeeeeeamweaver—I believe you can get me onto a Google+ Hangouts-style video chat with friends and let me record all the action for free on my iPhone toniiiiiiight! Other apps of note: GoodReader added security and Dropbox-integration improvements … Djay for iPhone and Chrome both were updated to accommodate the iPhone 5’s larger screeen … and 60 Minutes has expanded from iPad-only to a universal app also available on iPhone.